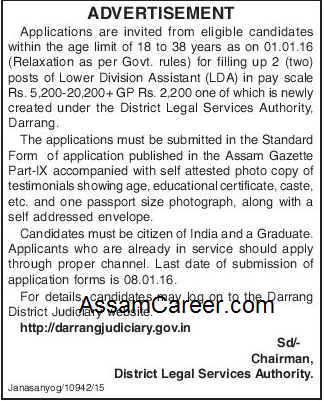 District Legal Services Authority, Darrang. 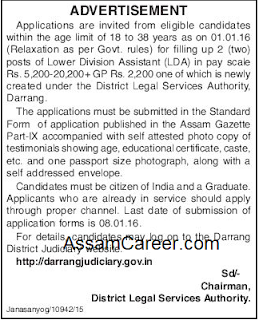 Applications are invited from eligible candidates for filling up of the following posts under District Legal Services Authority, Darrang. Educational Qualification: Candidate must be a graduate.